DTSC Fines & Expired Chemicals | Are You Next? Hidden away in cabinets, storage areas and on shop floors in many organizations are hazardous waste fines waiting to happen. Many businesses retain products or samples that they rarely or never use. Others buy chemicals in bulk in an effort to save money. Before long, the product or sample expires or may be forgotten about, misplaced or only half-used. This can become a regulatory nightmare and commonly can lead to EPA or state fines for violations of hazardous waste storage and disposal laws. It is common, especially in academic labs, to find stores of old chemicals that have been stashed in a corner or closet. A researcher may have left or moved on to another project and did not dispose of the chemicals that they were using; therefore, these abandoned chemicals have fallen off the grid, sometimes for very long periods of time. Materials at the end of their usable lives can be very volatile and can, in fact, be more of a hazard because they are no longer in their original containers, may be mixed with other potentially reactive agents, or simply may have decomposed due to age and become less stable. Expired Substances are Subject to Hazardous Waste Laws. Once a product containing a hazardous substance reaches its expiration date, it is subject to disposal requirements based upon your organization’s hazardous waste generator status. 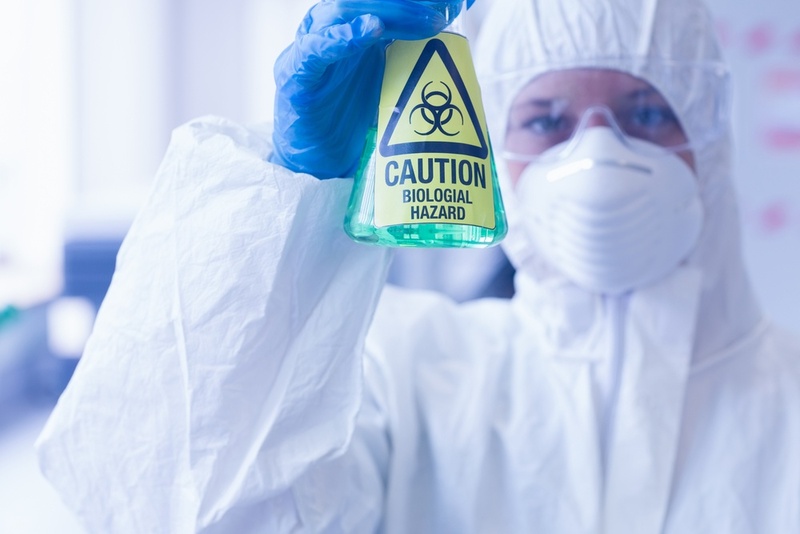 Citations and fines for improper management and storage of expired chemicals are very common. The chemical life cycle spans three stages. The first is chemical inventory, which relates to the procurement, storage, and management of chemicals before they are used; the second is the use of chemicals in research or processes; and the third is post-use, which is when the chemicals or new compounds move to waste storage and removal. Effective chemical life cycle management is centered on expiration dates, which must be noted when chemicals arrive at the facility and tracked until they are removed. Chemical inventory management should be relatively easy since materials arrive in approved, labeled containers supported by paperwork. It is recommended that organizations buy smaller quantities and turn inventory over more frequently, because old chemicals are potentially dangerous. These chemicals require close tracking to avoid exceeding their expiration dates. Saving a percentage of the cost by buying in bulk can end up costing more in the long run if the organization has to pay a company thousands of dollars to remotely open the container and then stabilize and dispose of a chemical. Generally, the best practice is to have a centralized purchasing and inventory process that purchases appropriate quantities for the organization, manages the inventory, and dispenses chemicals as necessary. Another “best practice” is to organize routine facilities audits to review hazardous waste procedures, perform regular employee training on proper hazardous waste handling, as well as to encourage the discovery and removal of expired chemicals. To help your organization with this process contact a licensed and certified hazardous waste disposal company. They will be able to facilitate your audits and create the processes required to ensure you are not being exposed to fines by missing these hidden hazards.